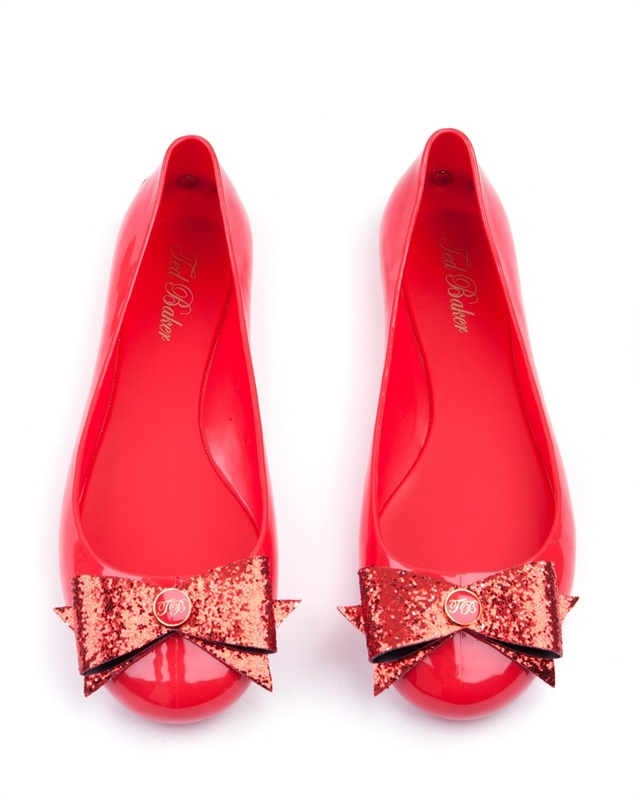 With Autumn approaching fast, I have started a search for that perfect ballet pump. Having been wearing sandals and strappy wedges all summer long, now its the time to cover up those toes and brace them for slightly colder days to come. 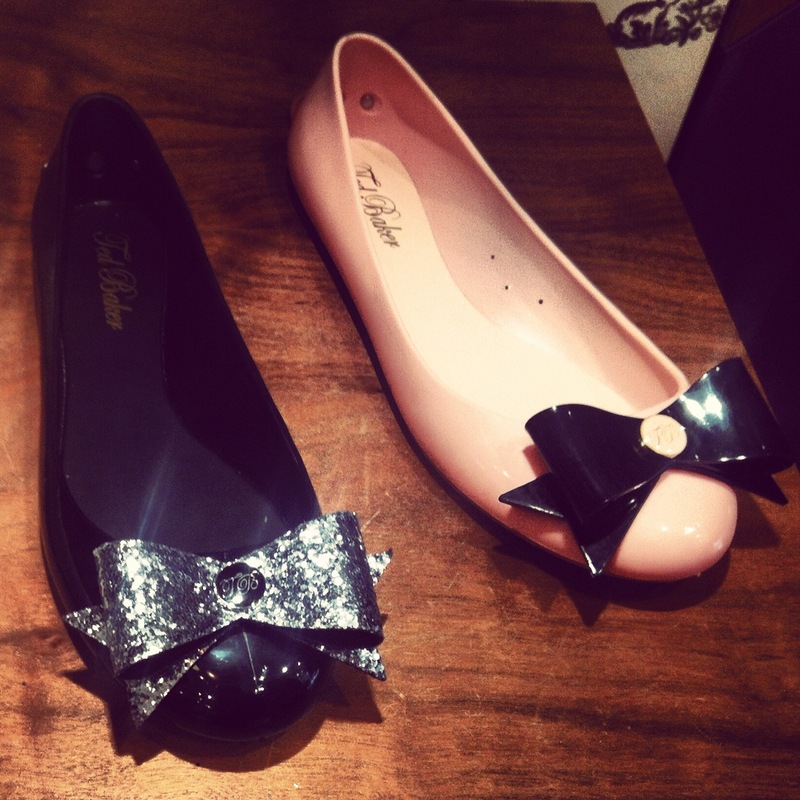 I have spotted these ‘Safire’ plumps at a Ted Baker store and recon they will be the perfect candidates! PVC ballerina pumps will see me through the rainy season. 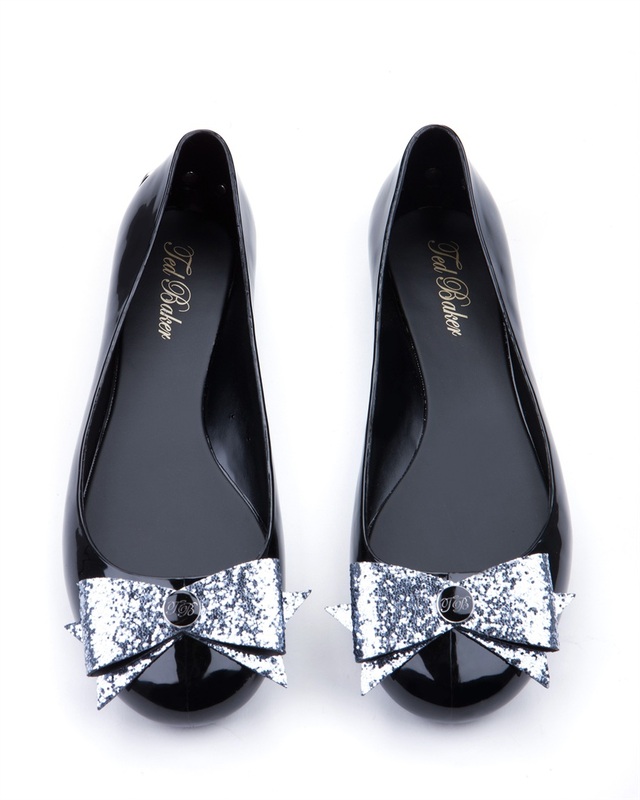 Glitter bows and branded metallic plaque on the heel add a smart touch to this every day staple, making them oh so irresistible. This entry was tagged accessories, ballet, fashion, feet, flats, footwear, pumps, pvc, shoes, shopping, style, ted baker, women. Bookmark the permalink.